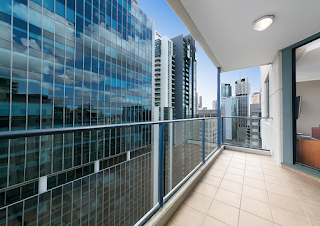 You have to be careful these days when buying an apartment, because with all the development in Brisbane, your view may disappear or change. Here is an example of an apartment in Sebel Suites (95 Charlotte St) on the 30th floor, where the aspect was impacted by a building nearby. There are many other apartments in Brisbane that have recently been impacted or may soon be impacted by pending construction.